Rotherham United have sold out of tickets for our FA Cup game away at The Ethiad which takes place on January 6th with a 2pm kick-off. 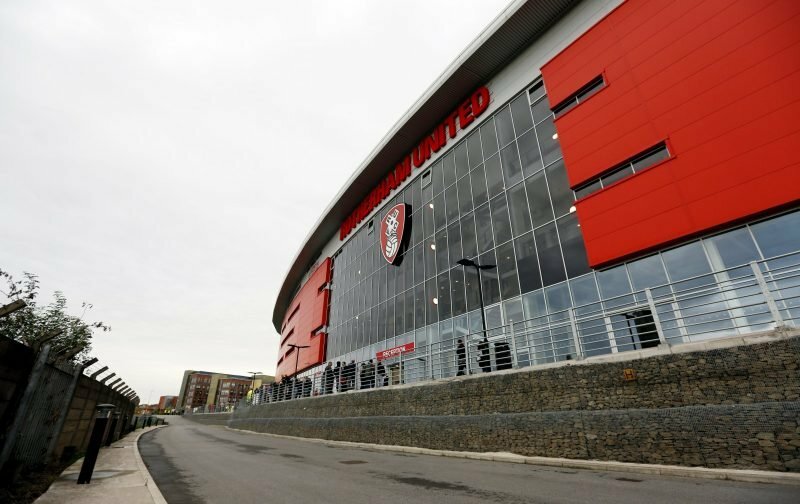 Manchester City sent the Millers just over five and a half thousand tickets which first went on sale to season ticket holders who had more than two hundred and fifty points nine days ago. After tickets went on General Sale today the club announced around an hour ago that tickets were now sold out and there is a waiting list should any tickets be returned. Rotherham United started the new loyalty points system this season giving each season ticket holder two hundred and thirty points. Ten points are also given for each home and away league and cup ticket purchased. This means that people who have a season ticket and have bought tickets in the past for other games get priority with each person being allowed one ticket each – seems fair doesn’t it. Today, as I said the tickets went on General Sale with everyone being able to buy up to five tickets each – which is why I’m a bit confused as to why I’ve seen people on social media saying they got ‘ten tickets’ and are trying to sell them. I’m also told that there were rumours in the queue at the New York Stadium that fans were coming away with more than twenty tickets. Obviously I don’t know how true that is, there are often rumours in the queues which I find difficult to believe. I’m also wondering why Manchester City have only let us have the five and a half thousand tickets – surely a ground as big as the Ethiad will have more seats than that to give us?